Microsoft has a team of engineers hard at work on an app store for Windows 8, the next iteration of the company's operating system due out in 2012. The revelation comes via a recent blog post by Steven Sinofsy, Microsoft's president of Windows and Windows Live, in the company's newly launched Building Windows 8 blog. Sinofsky on Wednesday included in his latest blog post a list of all the engineering teams working on Windows 8. At the top of that list (it was organized alphabetically) an app store team is listed. While it's possible the term 'app store' could have a different connotation for Microsoft's Windows 8 effort, chances are Microsoft is hoping to emulate in Windows 8 Apple's recent success with the OS X Mac App Store introduced in June and not be confused with Apple's iTunes App Store. 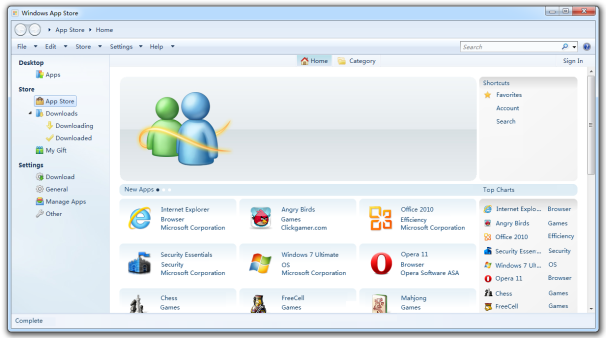 Speculation that Microsoft would include an app store in Windows 8 has been circulating for some time. 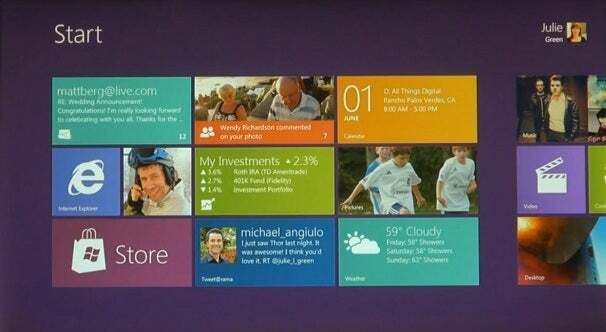 When Sinofsky gave a sneak peek at Windows 8 in June, a screenshot from the new OS showed a 'Store' tile as part of Windows 8's Phone 7-inspired user interface. It's not clear if that Store panel was meant to be a future app store or just a link to the Microsoft Store, the software giant's online outlet for computers, software, games and phones. Several weeks earlier, in June, a China-based blog posted what it claimed were leaked screenshots of the Windows 8 app store. The leaked shots show an app store embedded into Windows Explorer alongside your documents and other folders instead of a standalone app such as Apple uses for its app store in OS X. This would not be the first time that Microsoft has experimented with integrating an app store into Windows. In Vista, Microsoft included a link to the now defunct Windows Marketplace accessible via your system's default browser--Microsoft first announced Marketplace in 2004. But with the current trend of integrating app stores into the operating system, it's more likely the Windows 8 app store will either be a standalone application or integrated into Windows Explorer, as previous rumors have suggested.